[Updated]: Morten travelled to Russia this weekend, to perform at two separate events in Yekaterinburg with his solo band. The first concert was apparently held at the Pine Creek golf resort on Friday, 22 July, and seems to have been in connection with the Day of Metallurgist, which is a Russian holiday celebrating workers in the metallurgical industry. The logo on stage says Russian Copper Company, so that may be the company that’s hired him. The second concert was held at the Hyatt Regency in Yekaterinburg on Sunday, 24 July, as part of the award ceremony of Eurasia Extreme Open 2016, a week-long handgun shooting tournament. The setlist included two additional songs; “Safe With Me” and “Wild Seed”. 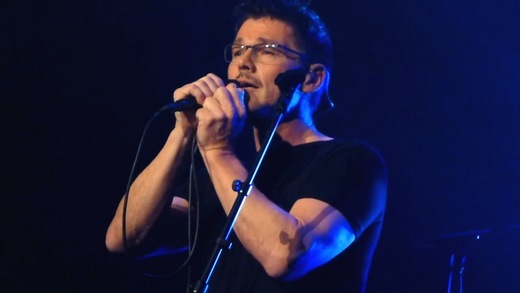 These were Morten’s first solo performances since November 2014. It was also the first time he has played a-ha songs with his Brother backing band. On the 2014 tour he only played his own solo songs. 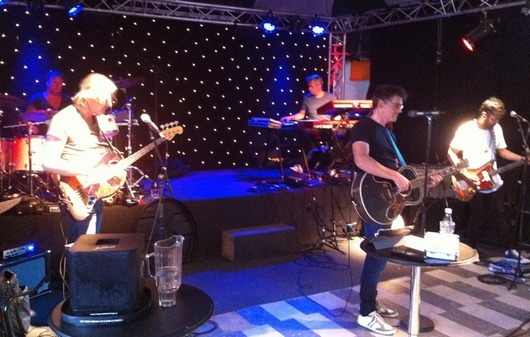 Earlier this week, Morten was rehearsing with the band at the Music House venue in Copenhagen, Denmark. The musicians were mostly the same as on the Brother tour in 2014; Vicky Singh on guitar, Lars Danielsson on bass, Per Lindvall on drums, but with Kjetil Bjerkestrand on keyboard instead of Christer Karlsson. Music House has posted a few pictures from the Copenhagen rehearsals on their Facebook page. Morten performed three songs together with Kjetil Bjerkestrand last night, at the 30th anniversary celebration of the Marita Foundation held at the Salem Church in Oslo. The Marita Foundation, started in 1984, is a Christian foundation that aims to prevent drug use among young people and to help recovering addicts build a new life for themselves. Morten has been supporting the foundation since the mid-90s, and contributed a special version of “A Kind Of Christmas Card” for the documentary film Marita – En advarsel fra noen som overlevde in 1996.
a-ha performed “Stay On These Roads” together with The Norwegian Radio Orchestra as part of the National Memorial Ceremony at Oslo Spektrum today, to remember the victims of the July 22nd attacks. With them on stage they also had Karl Oluf Wennerberg on drums and Erik Ljunggren on keyboard. The song was arranged for orchestra by Kjetil Bjerkestrand. If you missed the live broadcast, a-ha’s performance can be seen here. The whole 2-hour ceremony is available at nrk.no. 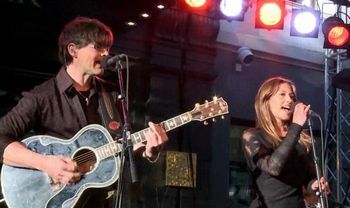 Morten and actress Pia Tjelta, accompanied by Kjetil Bjerkestrand on piano, performed the Everly Brothers song “Let It Be Me” at the opening of Eger shopping center in Oslo tonight. Morten told Dagbladet that they had recently performed the song together at a private party, and when Pia later sent him a text message and asked if he wanted to perform it again at tonight’s opening he was impressed by her initiative. “Pia is easy to work with and eager to accomplish things. 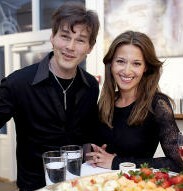 She is curious in a good way“, Morten said of his duet partner. 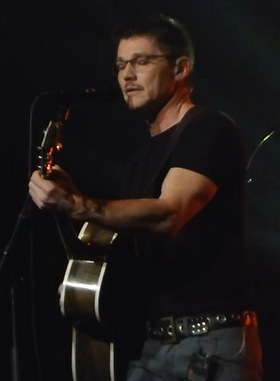 Morten has performed “Let It Be Me” alone and together with others many times before. Videos of the performance and video interviews with Morten and Pia can be seen at VG.no and Dagbladet.no.